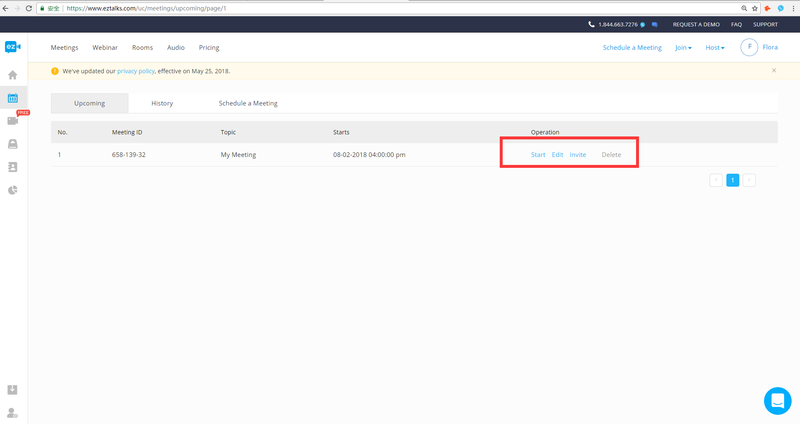 Below are the steps of how to schedule a meeting from different platforms. 1. Log in your dashboard with your ezTalks account. 3. 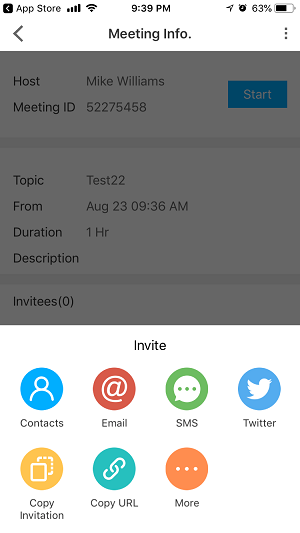 Then the scheduled meeting is listed in the Upcoming Meetings page where you can start it or invite attendees. 4. You can invite from your Contacts, Email, SMS, Twitter. And you can also copy the meeting info or copy the link and share it to your participants. How to start a meeting? How to join a meeting?